This coming Saturday, I will be out with friends celebrating my birthday. As anyone with a January birthday will tell you, it’s not the best time of the year to have been born. The combination of over-indulgence and over-spending during the festive period, along with the grey gloom a lot of people associate with January, can make prising friends away from the snug comfort of their sofas an uphill struggle. Then, there is always the possibility of snow to consider. The first time I can remember the weather having any bearing on my birthday was in 1982, when I turned 11. At the time, we lived in remote countryside where we were at the mercy of snow ploughs, to keep us from being cut off from the rest of the world. Having been ‘snowed in’ for several days before my birthday, there was uncertainty as to whether my birthday party would take place. However, unlike today’s kids who have no obligation to attend school at the first dusting of the white stuff, mine is generation who sat in freezing cold classrooms, wearing layer upon layer of clothing under their parka snorkel coats. It is therefore unsurprising that, despite the snow plough having created 7ft high walls of snow either side of the country lane leading to our house, and the roads being precariously icy, the party went ahead with its full guest list in attendance. We were living in the Kentish market town of Faversham when the winter weather did threaten to spoil my birthday, in 1987. At the time, my dad worked about 25 miles away in Sheerness on the Isle of Sheppey, which was joined to the mainland by a vertical-lift bridge.Although there was snow on the ground, and it had been snowing when he left for work at 6am, Dad had driven to work as usual. An hour later, I got up and listened to the radio to see if my school was open. It wasn’t. Although I was disappointed at not seeing my friends on my birthday (and receiving my cards and presents! ), I had a great time sledging in the nearby park with my mum and brother. However, by mid-afternoon it had begun to snow heavily, so we headed home. Back indoors, we watched the snow come down hard and fast, but I was still surprised when Dad ‘phoned to say it was unlikely he would make it home that night. All the vehicles in the car park of the steel mill where he worked were buried in deep snow, and there was no public transport running off the island. I was upset at not seeing my dad on my birthday, and spent the rest of the evening fairly subdued. That was until some idiot threw a snowball at our living room window just before the Ten O’Clock News started. I ran to the front door, ready to vent my growing frustration on whoever had just thrown the icy missile, and then got the best surprise when I opened the door – Dad waiting to come in! Settling down with a cup of tea and a slice of birthday cake, Dad explained how he had decided to set off on foot, hoping that he would be able to find transport home once he was back on the mainland. Having walked three miles in deep snow, he heard an off-road vehicle behind him as he approached the island town of Queenborough. The driver stopped and gave Dad a lift home which, seeing as they passed no other vehicles travelling in Sheppey, was something of a miracle. At least that’s how his company magazine reported it later that month, when they told how one of their employees had managed to “arrive home in time for his little girl’s birthday” despite the treacherous weather conditions. They must have thought I was 6, not 16. As the years have gone by, the weather has tended to be kinder on my big day and, when it hasn’t, sheer determination to celebrate my birthday has seen me doing so no matter what. Although one year that did see me in an almost empty nightclub partying with a handful of like-minded people, foolish enough to brave the blizzards in pursuit of a few hours on the dancefloor. Nowadays, I’m not quite so foolhardy, and can be almost reticent when it comes to planning my birthday celebrations, lest bad weather stops play. However, with no Arctic weather forecast for this weekend, I am hopeful that this year’s birthday celebrations will go ahead unhindered. If, by some twist if fate, we are hit by a freak snowstorm I shall have to resort to Plan B – an evening in with a bottle of pink Möet, singing along to a certain Dave Stewart and Barbara Gaskin number! 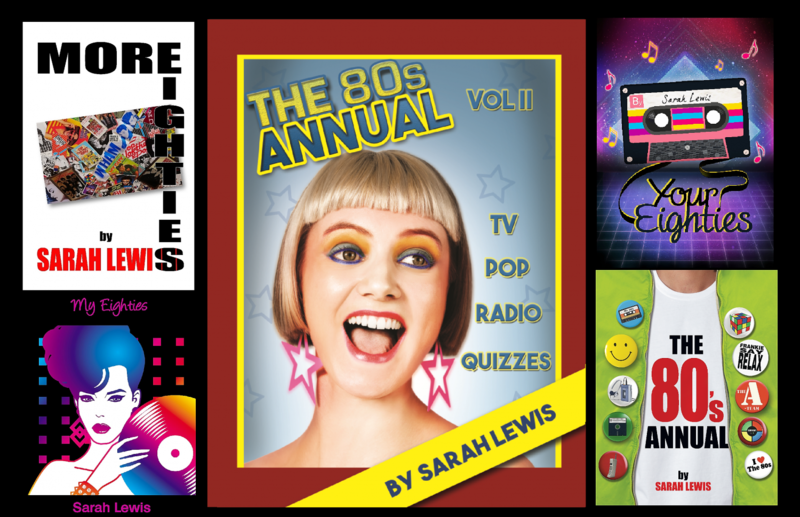 To celebrate my birthday weekend, my first book ‘My Eighties’ will be available on Kindle for FREE 15th – 17th January.